Tom “Butch” Fred Gibbons, age 71, passed away unexpectedly on Wednesday, July 4, 2018. The oldest son of Edwin “Mike”and Bethel (Culliton) Gibbons, Tom was born in Honolulu, Hawaii on February 1, 1947. He attended Brampton Township School for his primary years and graduated from Rapid River High School in 1965. Tom followed in his father’s footsteps and joined the US Marines Corps. Tom served two tours in Vietnam. After returning home, Tom was united in marriage to Connie Anderson in 1971 and started a family. 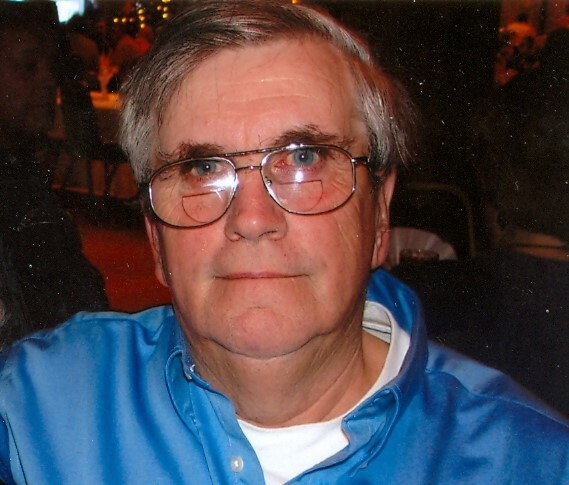 He made his career at the Escanaba paper mill up until his retirement in 2005. Upon retirement, he dedicated his life to his two big passions; fishing and grandchildren. In any weather, Tom could be found on a lake catching fish. He was a devoted grandfather and is adored by his grandchildren. Tom’s carefree attitude made him friend to everyone who met him. He wasn’t one to hold a grudge, and was easygoing and fun-loving. In earlier days, he participated in many league activities including playing horseshoes, bowling, baseball, darts, dartball, and trivia. He was also a Boy Scout and was the youngest member of Troop 466 in Gladstone to obtain the rank of Eagle Scout. He and his wife also enjoyed yearly motorcycling road trips exploring the country. Tom enjoyed the simpler things in life, and understood what was important. He could be happy sitting around a campfire with good friends and family. He is survived by his wife of 47 years Connie. His sons, Jason (Elizabeth) Gibbons and Tom (Amanda) Gibbons; grandchildren Michael, December, Erik, Shawn, Morgan, Thomas, Ava, Ryan, Zachary and Jared; brothers Robert, Pat, and Michael Gibbons; sister Sandra Gibbons, best friends, Lenny, Bill, and Tim Anderson, several nieces, nephews, cousins, and special friends. He is preceded in death by his father, Edwin Gibbons and his Mother, Bethel Gibbons. The family will receive friends on Tuesday, July 10 from 2:00 PM to 4:45 PM at the Skradski Funeral Home in Gladstone. Military Honors will be presented at 4:45 PM by the Gladstone American Legion Post 71, Marine Corps League and the US Marine Corps Honor Guard. Funeral services will follow at 5:00 PM with Pastor Stephen Gauger officiating. A luncheon will be served at the Calvary Lutheran Church in Rapid River. Tom will be laid to rest in the Rapid River Cemetery. In lieu of flowers memorial contributions may be directed to the Disabled American Veterans organization. www.dav.org. We will greatly miss Tom and have many fond memories of friendship, fishing, eating out, and Euchre! Connie and Family, I am so sorry to hear of the tragic loss of your husband, father, grandfather and brother. Tom was a great friend while I was with him in the National Guard and I always enjoyed running into him in later years. You and your family are in my thoughts. Very sorry to hear of your family’s loss. Uncle Tom was a boisterous, fun-loving, funny, and very kind person who will be missed tremendously. My heart and prayers go out to my Aunt Connie and cousins Jason & Tommy and their families. I’m sending a big, healing hug to you all and wish you peace to soften your sadness. Dear Connie and family, our deepest condolences for your loss. I was shocked and saddened by the news of Toms passing. He was a genuinely nice man and I can’t imagine how much he will be missed. I won’t be able to attend his service as we are out of town on vacation. Al and I send our deepest sympathies to all of you. I have such fond memories of Tom at all the Gibbons/Beechler get-togethers through the years. Al always enjoyed fishing with Tom and swapping fish stories. He was a kind, caring, funny guy who will be missed. You all are in our thoughts and prayers. We are thinking of you and your family. Many prayers to you!! I am so very sorry to hear this news about your beloved Tom. He sounds like an amazing man who should be remembered with honor. We all thank him for his service. As a person who was raised on Drummond but now spends summers here, I want you to know that we talk about Tom and want justice. We are all grieving with you as we pray and pray for all of you. Our small community is shocked and greatly saddened by the loss of Tom. I have heard people talk about donating money as a reward, people are searching and people are listening and people are posting their sadness for your family and support to help. Please know that we are all so very sorry and we are thinking of you. So sorry to hear of your loss. So many memories of the Gibbons farm growing up. Thoughts and prayers with you. We are so sorry for your loss we grew up with the Gibbons family in Brampton I. Alice went to school with Tom most of our years. I ,Jean Johnson worked with Tom at the paper mill . May he rest in peace.! I was greatly affected to see of Tom’s passing. I am sending my best to you in hope that somehow it makes your loss easier . I was unable to make the funeral but just wanted to let you know that I care.